Dubai is a great city for people who are looking for a luxurious life in a modern city. To professionals, business owners, families, etc., Dubai offers an excellent living experience. Dubai’s real estate sector provides numerous options for both home buyers and rental accommodation seekers. If you are planning to live in Dubai for a more extended period, then buying a home might make financial sense. You need to evaluate the rationale for purchasing your home. If you are looking to hire you forever home than the finances matter second to emotional needs. But if you are thinking about buying a house from an investment perspective than just saving on rent is not nearly sufficient. You need to evaluate your options and consult a professional before making such a decision. In this article, we are just defining what mortgage and the different kinds. A mortgage is a loan given by a bank or any private lender to help you purchase a real estate property. Let’s look at the various types of mortgages available in Dubai and also at how a mortgage works. In Dubai, the mortgage market is well-developed with numerous mortgage providers offering different products and features. In Dubai, you can apply for a mortgage to buy an apartment for living purpose or even as an investment. However, this might change the amount of deposit the lending institution asks you to pay. For example, an individual buying an investment property might be perceived as a higher risk by the lender. In such cases, the investor will be asked to deposit a comparatively higher amount. In Dubai, as an expat buyer, the full amount that you will repay (principal + interest) cannot be more than the total amount that you will earn in seven years. With this rule clear, let’s talk about fixed and variable interest rates. Fixed rate mortgages guarantee that the rate of interest on your mortgage will be adjusted regardless of the change in rates in the market for the duration of the agreement. This duration is usually five years. After this period, the mortgage reverts to the rate set by the bank. On the other hand, in a variable rate mortgage, your interest rate changes with the changes in the market. In Dubai, the rate is usually set against the EIBOR. The bank will set the mortgage rate EIBOR plus some margin depending on the type of Mortgage and length. Generally speaking, fixed rates are higher than variable rates as the banks want to protect themselves from rising rates in the future. Let’s look at an example. Assume the EIBOR is 2.5%. For a fixed rate the bank might add a margin of 3% to it so your mortgage fixed rate will be 5.5% for five year period. Your rate will stay 5.5% during this e5 years regardless of what happens to EIBOR. And then in 5 years, the rate will reset. The bank will add its margin to whatever the EIBOR will be in 5 years. Assume the EIBOR increases to 3.5% in 5 years, and the bank’s margin is still 3%, then your rate in 5 years will be 6.5%. However, if the EIBOR decreases to 1.5%, then your rate will reset to 4.5%(1.5%+3%). If you had taken a variable mortgage than your rate will very every quarter when the EIBOR changes, example the EIBOR is 2.5% and the margin is 2.5% for variable rates. Your mortgage rate will be 5% if the EIBOR that increases in the next quarter to 3% than your price will also increase to 5.5%. If the LIBOR were to decrease to 2% than your rate would drop to 4.5%. So which one is better? It depends. 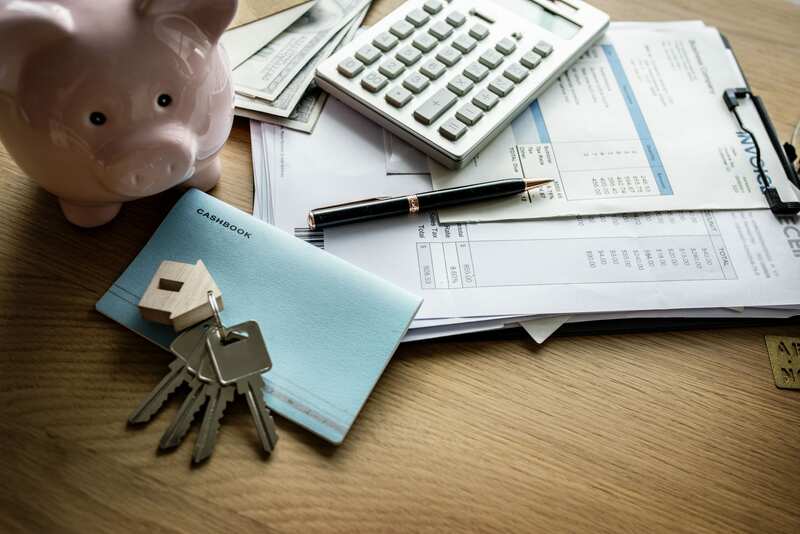 If the interest rates are expected to increase over time, you might be better of locking in a fixed rate, so you know your mortgage payments and not be at the mercy of increasing mortgage payments. If the prices are expected to decrease than you might be better with variable rate os, you can benefit from the decrease and not get stuck paying more than you should. This decision should not be taken lightly, and you should stress different test scenarios to see how this could impact your affordability of buying the house. This is why we encourage you to seek professional advice before deciding on whether to get a mortgage to buy a house. And it’s essential to find independent & unbiased advice. Don’t ask your broker who is selling you the home or the bank that want to lend you money. Some lenders also offer Interest Only Mortgages under certain conditions and offering specific features. Usually, the tenure of such mortgages is not more than five years. In these mortgages, you pay only the interest for the mandate of the loan in fixed monthly instalments. After the end of this tenure, you are expected to pay the principal in a lump sum or start making repayments towards the principal. You can refinance your home to make the lump sum payment. However, if you begin repaying the principal, then the overall amount you pay will be much higher than a regular mortgage. Usually, people opt for such mortgages when they are confident of selling their home shortly or expect to refinance it with another loan. Interest only loans are generally not offered to the public is it a hazardous proposition. For example, you buy a house for 1,000,000 and borrow the entire 1,000,000 from the bank. You only pay interest for five years, and at the end, you still owe the bank 1,000,000. If the property price has decreased to 900,000, you will have to pay the bank 100,000 from your pocket. Even if you refinance, the new loan will be only for 900,000 leaving you 100,000 short. This works well if the property prices continue to increase during that time. This is not a recommended approach one should take to buy a home. Remember, there are many different variants available in the market. You can talk to a real estate specialist to help you find the mortgage best suited to you. You can use either approach a bank directly for a mortgage or avail the services of a broker. While a broker might charge a small fee for his services, he will ensure that the entire process is smooth and according to the regulations. Banks and financial institutions can have their terms and conditions for offering mortgages. Therefore, it is essential to check all the terms and the schedule of charges carefully before applying for one. Talking about affordability, in Dubai, your combined debt payments (all loans, credit cards, etc.) cannot be more than 50 per cent of your income. Loan protection insurance premium, etc. There are many other costs involved. Ensure that you make a comprehensive list of charges and prepare yourself for it before applying for a mortgage. Buying a home is often one of the most significant decisions of one’s life. Whether you are buying your forever home or buying an investment property, one should evaluate all options thoroughly. Seek independent advice to assist you in the decision making. If considering to purchase an investment property, there are other ways to buy it without a mortgage if you don’t have sufficient money to buy a property outright. These options are buying into a REIT or using a real estate crowdfunding platform like Smart Crowd. Remodelling or Relocating . Which is a better option?